Black golf umbrella with oversize wind vent now on sale and clever 3-stage telescoping framework. Compact 22″ when folded. 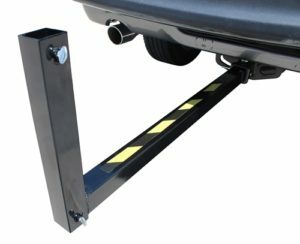 Auto-open push button opens the shade canopy to a generous 4′. Stows inside included carry sheath. The weather can be unpredictable. 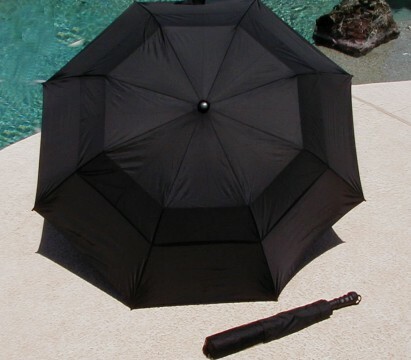 Why not keep one of these umbrellas in the car to keep you dry or shaded in any situation, planned or unexpected. 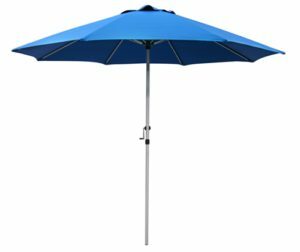 We are suggesting this sale-priced umbrella be included as an add-on item with any other purchase. SKU: 516. Category: Shade Products On Sale!.